Eritrea is a country that emerged out of a long and difficult struggle for human rights. Like any developing country, Eritrea has its own human rights challenges. 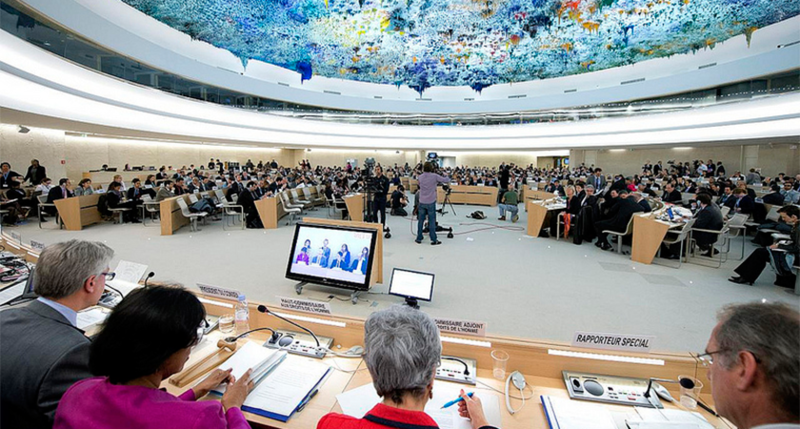 Eritrea is pleased and highly honored to be elected to serve on the United Nations Human Rights Council (HRC). The HRC is the UN’s inter-governmental body that deliberates on issues pertaining to the development, promotion, protection, and fulfillment of international human rights law, norms, and standards. Eritrea received 160 votes from a total of 193 and its three-year term on the Geneva-based HRC will begin on 01 January 2019. Eritrea extends its deep gratitude and appreciation to the Member States of the UN for their invaluable support of the country’s candidacy. Eritrea is a country that emerged out of a long, difficult struggle for human rights. It achieved formal independence in 1993, after a 30-year war for independence. Non-discrimination, equality, inclusion, peace, justice, freedom, and ensuring respect for human rights and human dignity are key values underpinning Eritrean society. Eritrea remains vigilant and steadfast in its efforts to implement all civil, cultural, economic, political, and social rights for all Eritreans. It aspires to become a developed nation where the potential of its entire people, including women, children, and the vulnerable, is realized with strong national unity and cohesion, sustained economic growth, and social justice. Eritrea is strongly committed to consolidating the rights of citizen, and it has made significant strides in improving educational and health services, agricultural productivity, reducing poverty, and developing infrastructure. Eritrea is also making important contributions to regional peace, stability, and security in the Red Sea and the Horn of Africa. Like all Member States, Eritrea faces human rights challenges, and it recognizes the work ahead towards better and higher human rights standards. Eritrea firmly believes in constructive engagement and it concurs with the wider view of the UN membership that human rights objectives are best promoted in all countries through engagement, underpinned by cooperation and mutual respect.